Britain and the European Union: should I stay or should I go? Hundreds of economic assessments have been made of the consequences of a Brexit. Most of these are expressed as a range, with results running from the lightly positive to the solidly negative. The median of these is about negative one an a half percent, which is a bit more than half the UK’s long run growth trend since 1945. That is, median predictions of the impact of exit are that economic growth would halve. Voices against leaving also speak of reduced political influence, of lessened information sharing and of costs no longer spread between nations. Why would anyone in Britain want to leave the EU? However, it’s also fair to say that the European Union is not without its economic and political flaws. Indeed, almost all of its economic structures have been badly designed – most notably the Euro. It has generated a pervasive cobweb of pettifogging regulation. The influence of the German Greens have been particularly strong in this, and their particular strain of middle class guilt does not play well with the British, or more specifically, the English psyche. Euroscepticism is a predominantly English phenomenon. That element of British – perhaps specifically English – psychology explains some of the friction that people feel from the EU. It is a source of moral and secular authority, and resented as such, as something trying to limit freedoms, tie people down, prevent them from being how they would wish. This does not come from anything it does, but from the very fact of its existence: alien views, imposed on a people who do not take kindly to psychic impositions. Many Eurosceptics are poorly educated, male and middle aged or older. This group have participated in a global phenomenon that has touched every one of the old, wealthy nations.. The last thirty years have not been kind to the working class in general and the status and self-esteem of the low skilled male in particular. Unions have all but vanished, and where they exist they are focused within government-funded employment: health, administrative civil service, local government. The wages of the low skilled male has fallen in real terms since the 1970s in almost all OECD countries – most pronounced in the US, most masked in Northern European countries, where social transfers are high. That said, a half of the British population are net beneficiaries of state services and welfare, and perhaps a fifth of the British population add no net economic value throughout their lives. Similar groups exist in France, Germany, the Mediterranean fringe, in the US and Japan. They have had their dignity and their self-respect stripped from them. They tend to look for villains to blame, and come up with immigrants, the European union (chiefly as the supposed source of these), international commerce and the class of people who manage this, the bankers and other clever purveyors of incomprehensible goods. The group is riven with conspiracy theories, notions of the malice of the wealthy and of predatory elites. “Europe” is seen as just such a conspiracy. In truth, it has not been kind to low skilled workers or low productivity economies. Large numbers of low wage immigrants depressed wages in, for example, Britain. An electrician in London might have earned double what he or she gets today in the years before accession state immigration began. Poles, then Eastern Europeans have had a major impact on labour supply and the clearing wage. More broadly, in order to align economies with German productivity, Euro entrants had to squeeze wages with very high unemployment. This has had particular sharp effects in Spain, Portugal, Italy and Greece; and has no doubt added to the migrant flow from these countries. Many such nations borrowed in order to make social payments that were aimed, of course, to lessen this pain and its political consequences. Others simply borrowed to fund a populist wave of spending, and their loans were eased by the belief that a Euro-denominated loan would always be underwritten by Germany. As indeed it was, but Germany (and Europe) has attracted odium as a result of the terms of these bail-outs. Germany itself loved the Euro because it kept the terms of trade favourable to them: if they had been trading in Deutschmarks, the costs of their exports might have doubled. The future for this group is not rosy. Available welfare will be eaten up by rich world demographics, which are dramatically bad, underfunded and seemingly unanticipated. Those in continental Europe are notably awful. Half of the EU population will be over 65 in 2030; three quarters in Spain, Greece and Italy. There is, then, a group that is deeply unhappy: male, middle to retirement age, of low educational attainment. They reach for nationhood as a source of strength, and feel that foreign-shaped laws and immigration undermine this. Commercial modernism – from trade agreements to automation and technology, from the decline of mass manufacture to the rise of the sophisticated service economy change – is, for them, a harbinger or worsening times. This same group support Trump in the US, Le Pen in France and groups like AfD in Germany. They are neither right nor left, but disaffected with their life. The EU is a symbolic threat to cosy nationalism, to retrospective values and the source of concrete complaints, most notably immigration. An overlapping group, specific to Britain, strongly dislike – one could say, hate – the EU for the non-rational, values-laden reasons that were discussed earlier. A still smaller group see Britain as a sort of buccaneer ship, inhabited by elderly pirate-entrepreneurs who, if free from something or other of which the EU is emblematic, would go on to do mighty things. Wrong, as they say, but romantic. Why should anyone want to stay? It has been said that Europe is a wonderful place, except for the EU. Most Britons would, in their hearts, probably prefer to belong not to an ambitious European Union but rather to a trading network, something similar to the old EFTA. NATO, for example, is a no-nonsense defence affiliation with a clear remit and tight ambitions: Britain would be happy with the civil version of that. Wealthier British people are happy with the free movement of labour to go along with this; but those who have been impacted by immigration are not. What Britain is being asked to love is not, therefore, entirely what it would have chosen. The bride is pretentious, demanding, perceived as spendthrift and it represents a set of constraints that we find psychically irksome if not in practice a source of actual friction in our lives. We would probably have done all of that anyway, but we would much prefer to have thought it up for ourselves. This state of mild grumpiness was tolerable when European institutions worked, or anyway did not fail in important ways. Now, though, we are linked to an entity which cannot plan for its future, cannot manage its borders and is unable to stabilise its currency. As already mentioned, half of its citizens will be of retirement age in fifteen year’s time. What should have been a club that simplified trade seems to have become the means to make commerce more difficult, to load it with regulations and, ineffectually, to seek to shut out the rest of the world. 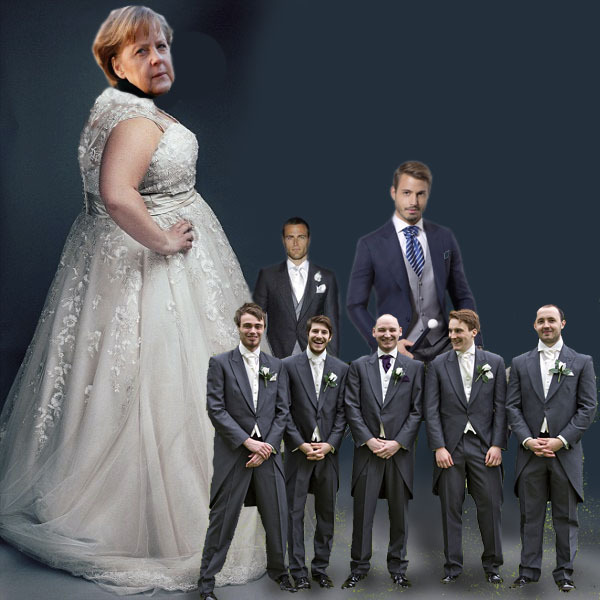 We would not marry this bride. However, the choice is not whether to marry but whether to seek a divorce. Leaving does seem to be a risky leap in the dark. Attempts at objective assessments as to the cost of divorce point are not attractive. Our non-European allies urge us to stay. The mature mind says, therefore, that it is better to stay and see what happens next. As was said to a would-be suicide: you can always jump tomorrow. Hanging on: the default case. 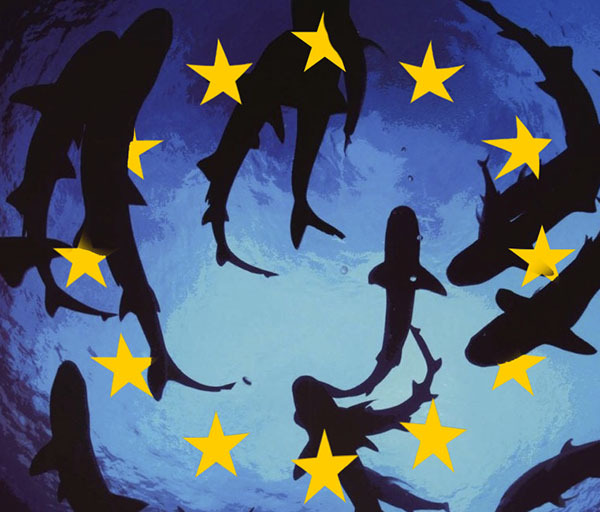 Sufficient member states see enough sharks in the water to want to stay on the EU raft, however uncomfortable it becomes. That said, the edges of the Union fray considerably, Germany ceases to be the universal Uncle who bails out those in trouble and several countries leave the Euro but retain Union membership status. A core and a periphery develop, with the central states less intent on pursuing new ambitions – defence, foreign affairs - than they are to nail down the few sound planks that they have. That is, for the few who remain in it, the Euro gains hard transnational institutions. Decision-taking machinery becomes sharply more federal, fragmented amongst many blocks.. Appetite for tight mutual management defines core membership, and Britain is not a part of this. The existence of a reinforced core renders the loose periphery even more distant. The outer EU is characterised by trade agreements but not the free movement of people. This suits the UK very well indeed. Equally, none of this solves the issues of demographics that sit as a worm at Europe’s heart in the 2020s. Populism is very strong across Europe, and the post-war social settlement is revived again and again under the banner of social justice, the decent society and the like. State spending rises above 60% of GNP in many countries, deficits bloat and the world becomes tired of lending Europe money. One by one, the grip of the weakest states on the raft weakens. Instability, demographics and fast internationalisation all push Europe towards three harsh truths: that it is part-fortress, part trading block; and that to be able to trade effectively with the rest of the world, it can only comprise those parts of it which are both competitive and socio-political peers. That points to something very similar to the previous scenario: to the emergence of a tight German-focused core that has common values, shared decision-taking and common economic institutions. In essence, this draws a frontier down the Rhine: Protestant Europe as the core, everything else as the periphery. That, too, maps onto demographics and pension preparedness, multi-trillion Euro issues. Where these two scenarios differ is in the difference in confidence that exists in the core, and the distance that it has developed with the periphery. In this case, trailing associate countries are abandoned to their own devices. If they do not keep up, then they drift, sink or are bait for sharks. 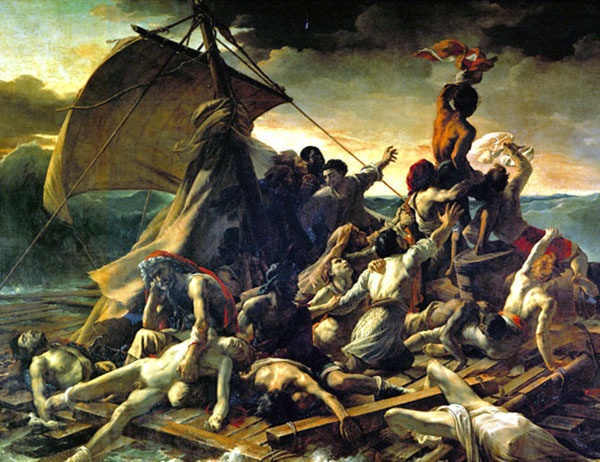 Populist calls for tariffs, job creation, state aid and all of the seventies paraphernalia of the post war consensus are jettisoned in favour of survival in a brutally competitive world. Britain remains, by the most narrow of margins, a member of the EU. Relieved, the Commission moves on to its many other concerns. As it was possible to solve the potential Brexit with its habitual style of compromise, camouflage and back-doors dealings – a style entirely necessary in order to manage so many countries – the commission feels confirmed in its mode of operating. It moves on to fudge the immigration issues, offers Turkey concessions that it cannot ultimately meet, props up its weaker members and in general continues much as before. This is not a style that will work for long in the world of the 2020s. In 2025, the entire population of the OECD amounts to about 1.2 bn people. Around 60% of those are dependent through age. Meanwhile, the emerging economies have more graduates than the OECD has citizens, and they generate around 65% of world output. Technology will be equally accessible to all players, as will be capital, ideas, management talent. The emerging economies will have 2.5-3.5 bn middle class consumers, all of whom have succeeded in very tough lives and who now most sincerely wish to become rich. Their ethics and values are not as delicate, as nice as those of Europe. It is a time of deadly competition. Automation is eating into high skill jobs – medicine, finance – and new disciplines are being invented overnight. The European whale wallows in this sea of sharks. Bits of it get bitten off, digested. Weakness is targeted, and the muddled style at the heart of the enterprise is not good at reducing vulnerabilities or managing predators. Competent nations find that agile self-defence offers advantages over solidarity with the ineffectual whale. Many wish to align themselves with the US, which is undergoing similar problems but making a more competent job of managing the transition. The EU begins to fade away, retaining ceremonial institutions and ineffectual structures. The Euro blink out of existence when Germany leaves it, rather than spend yet more money defending it from speculators. Perhaps none of these will happen, but it is hard to think of viable alternatives. The world of the 2030s simply does not have a space for a good-hearted club of ageing social democrats. As is common with scenario planning, the most likely outcome is some blend of all of these, with the sharper edges rubbed off and a fair degree of muddling through and accident. One has to say to Britain as potential suicide that it’s probably best to jump tomorrow; but also keep a good hold on that life vest. It’s also a good idea to get a suitable group of countries talking about a reformed core: reformed around quieter ambitions that have rational economics and sound institutions at their heart. That would probably involve ditching the greater Euro for a managed core one; and of Britain considering the unthinkable; that of joining it.